One of my favorite online discount cruise travel agencies is Vacations to Go, which always lists hundreds of heavily discounted upcoming cruises from dozens of cruise lines around the world, including both ocean and river cruises. In one section of the site, Vacations to Go lists special discounts on certain sailings that are only good for passengers aged 55 and over on the day of departure. Just one passenger in each cabin needs to be 55 or over. When you call a Vacations to Go counselor to book your cruise, be sure to mention your age. The cruise line will require proof of it before giving the discount. The number to call there is 800-338-4962, but I would advise looking at the website first to see what’s available for your preferred destination, dates, and cruise line(s). Carnival offers aged 55+ discounts as well. Photo from Carnival Cruise Lines. Note that the age 55 discount may not result in the lowest fare you can find for any given cruise. There are also special discounts for police, firefighters, military, teachers and others, and it’s usually not possible to combine them. Most cruises are discounted based on many other factors as well, such as when you book (either very early or very late often results in the biggest discounts, though booking late may limit your choice of cabins) or if there are special sales being offered at the time. Vacations to Go counselors will advise you as to the best discounts available on any given sailing, based on your particular situation. I’ve seen some cruises discounted (from the brochure price) up to 85 percent or more on Vacations to Go, and many of at least 50 percent. Keep in mind that discounting is very common in the cruise industry and it’s always wise to ask about discounts before booking any cruise. Not all cruise lines discount, but many of the top mainstream lines offer them routinely. A big agency like Vacations to Go, which deals in volume, is a great place to start checking. Note that these cruise lines offering age 55+ discounts may change from time to time, so it’s a good idea to check back often. Additional note: check out the travel deals — on trips, luggage, backpacks, etc. — at dealwiki.net. Be sure to download my free report, “How to Ride the Coming Wave of Boomers,” available here. 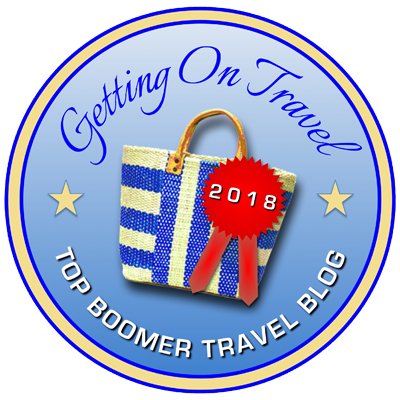 It’s all about the best ways to market travel to baby boomers — the biggest-spending group of travelers the world has ever seen. It’s also the easiest way to subscribe to my blog, so you won’t miss a posting. Thanks! have traveled with them and found out they were not good travelers. I am easy going and laid back.